Decades ago, 3D printing was relegated to serious technology geeks and aeronautics engineers tucked away in labs. Today though, the technology has been discovered by the mainstream and the opportunity for infinite innovation is enjoyed by practically anyone who is interested—to include students around the world. 3D printing’s popularity has been possible due to the mission of numerous innovators, designers, and larger companies, as they sought to provide accessibility and affordability—the modern-day mantra of makers around the world. Many programs have allowed 3D printing and full-fledged STEM technology to flourish in schools, and recent sponsorship by Inoapps has allowed an all-girl team from Linlithgow Academy to reach finals for the 2018 ‘F1 in Schools’ STEM competition in Singapore. As both a global presence and an Oracle Platinum Partner, Inoapps has given the Linlithgow team necessary funds, design services, and the advice they needed to move forward; not only that, but Inoapps also has headquarters in Singapore so they can continue to offer support for the team, consisting of five S3 students. 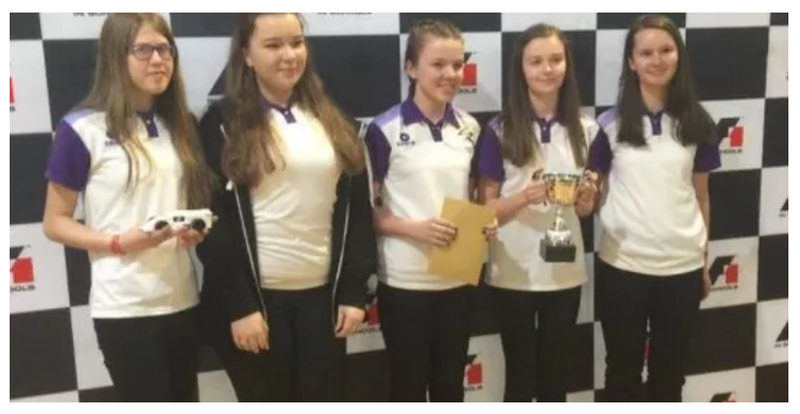 The girls have dubbed themselves ‘Team Accelerace powered by Inoapps,’ and in February, they qualified at the Scottish Regional Finals—going on then to win the Development Class Final at Silverstone the next month. These accomplishments have gained them entry into the competition in Singapore via the not-for-profit F1 in Schools sponsorship which is itself funded by support from others in the industry. The end goal for all involved is to promote further interest (and often this is targeted at girls as they historically have less presence in STEM-oriented careers) in science, technology, engineering, and math curriculums. This is the first time that Linlithgow Academy students have participated in the challenge, enjoyed by millions of other young STEM enthusiasts worldwide. “It’s been so much work, but it’s totally worth it now,” said Isla Petrie, Design Engineer of Team Accelerace, after the Silverstone win. The students will be using CAD and 3D printing for the project, including making their business and design plan and actually making the car. They will then race it on a 20m track, where they will be judged on time and the quality of their work overall. “It’s a pleasure to guide the team through this project with the support of Inoapps,” said David Marshall, Design and Technology Teacher at Linlithgow Academy. “We entered this project as it enabled the team to develop a host of beneficial skills. These included teamwork, building commercial relationships, fundraising and business planning, as well as communication and presentation skills … all of which are crucial to their future career paths. There is still plenty to do before Singapore: the team has to raise money to pay for the trip. This means setting up fundraising events as well as seeking additional corporate sponsors (find out more about that on their crowdfunding page). “We’re delighted to sponsor Team Accelerace in this venture, and are even more pleased that in 2018, the Year of the Woman, the all-girl Linlithgow Academy team has won through to the final in Singapore,” said Andrew Norris, Inoapps’ European Region Leader. “It would be wonderful to think that this program might well inspire the girls to embark on a career in engineering, technology or international business.